Hi everyone, how have you been?? Sorry I haven’t blogged in a while – my internet was down for a while needless to say I was going crazy. 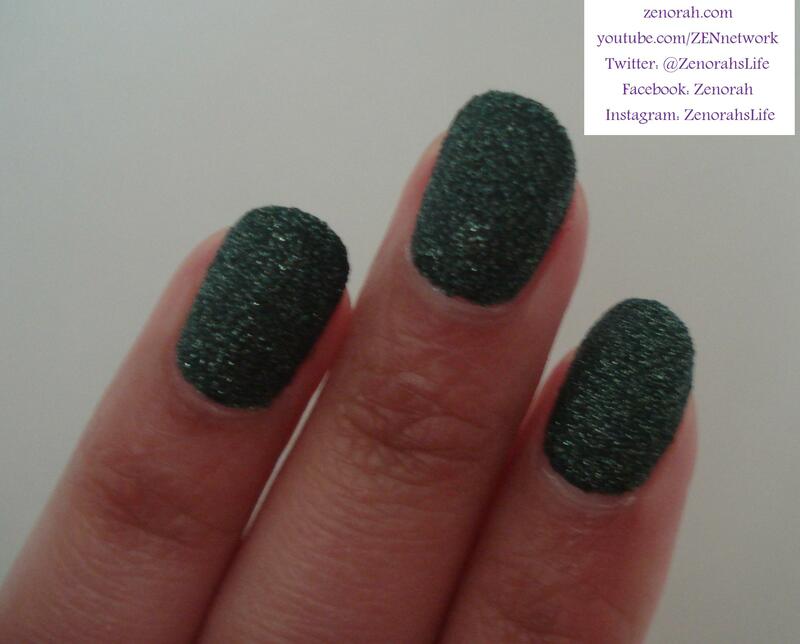 Today I have yet another Zoya Pixie Dust to share with all of you…can you tell I am loving this formula?? I have never been one for trends but this specific textured polish is amazing!! Stay tuned for my review on this fantastic polish! Zoya ‘Chita’ – is a gorgeous forest green infused with silver micro particles suspended within Zoya’s Pixie Dust formula. 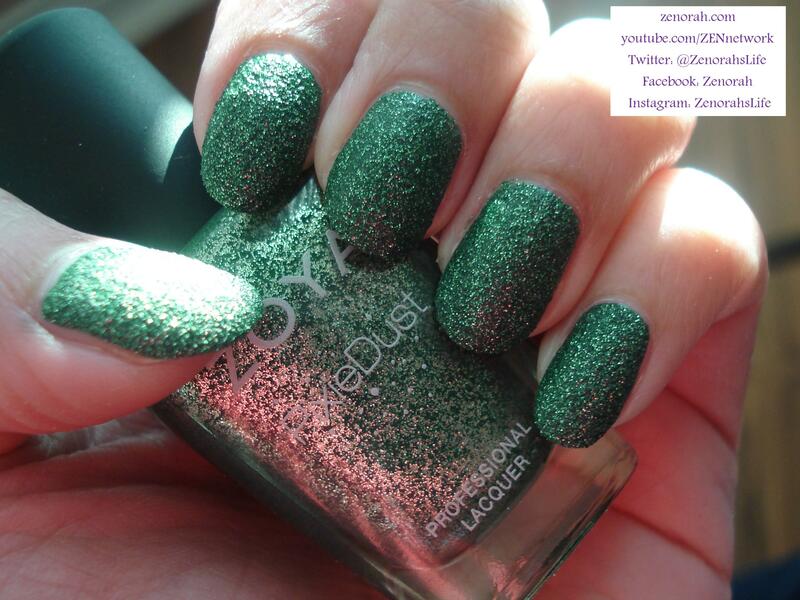 This specific polish is a new release from Zoya’s Fall 2013 Pixie Dust collection and it is a stunner!! As soon as I saw online swatches I HAD to add it to my collection! As with the other Pixie Dust polishes, Zoya recommends not using a base coat or top coat with this polish so it’s such a lazy girl polish for me. The dry time on this polish was impressive, it was completely dry in 10 minutes maximum and has that strong, nail grip strength that I love very much. The manicure you are viewing is two coats of polish but honestly you could get away with one decent coat of polish! It honestly reminds me of ferns around the holidays or a holiday wreath, right? I will definitely be wearing this Pixie dust polish as well during the Christmas season because it reminds me of a CHRISTMAS TREE, don’t you think??? I am so excited to play around with different manicures for this polish as well, if you are a GREEN nail polish lover – you NEED this in your life!! 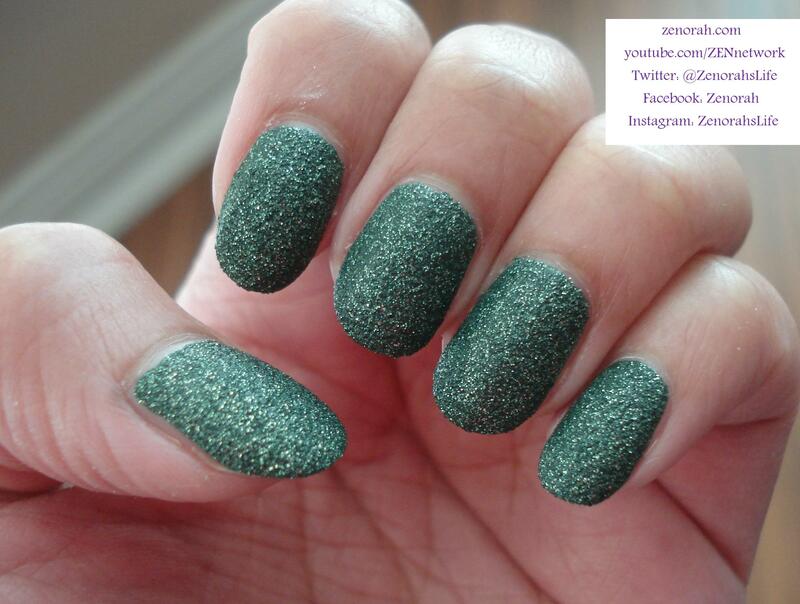 Do you own Zoya Pixie Dust ‘Chita’ ? What are your thoughts on this nail polish? I’m so in love with textures, I NEED this in my life quick smart!